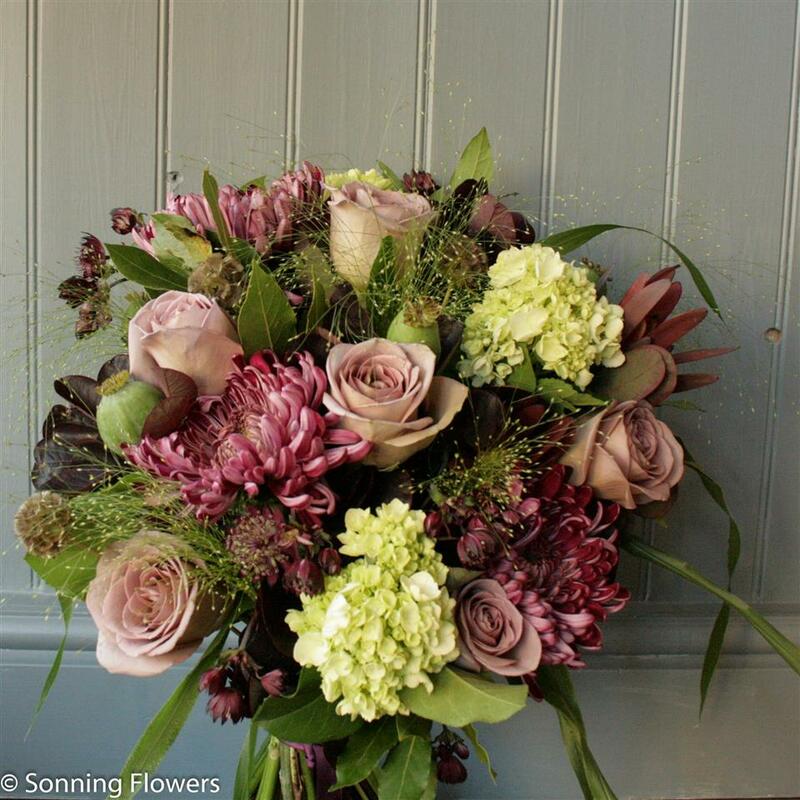 The Sonning Flowers autumn range of gift bouquets are now available online. If you would like to order one of these beautiful seasonal bouquets – please visit our on-line shop. 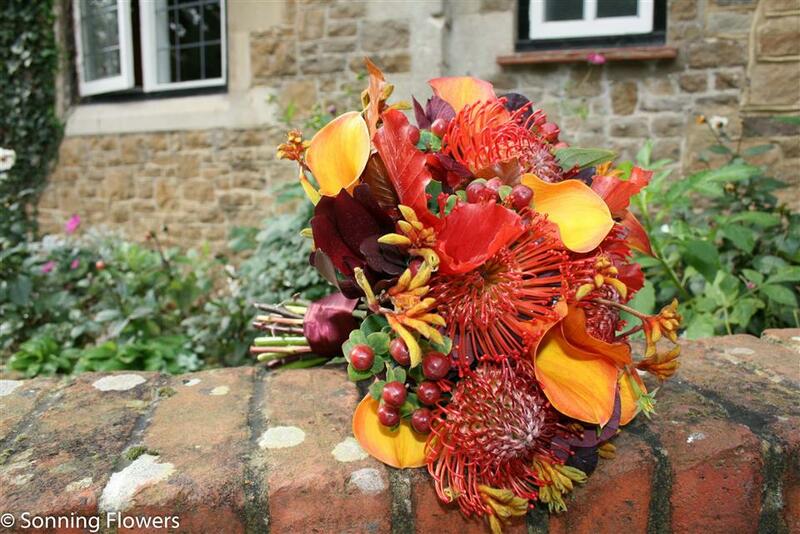 For brides getting married in the autumn, why not embrace the rich and vibrant colours readily available in this season. I love working with the different colours and textures of foliages, leucaspernum and berries. Here are a few photographs of a recent wedding we provided the flowers for.